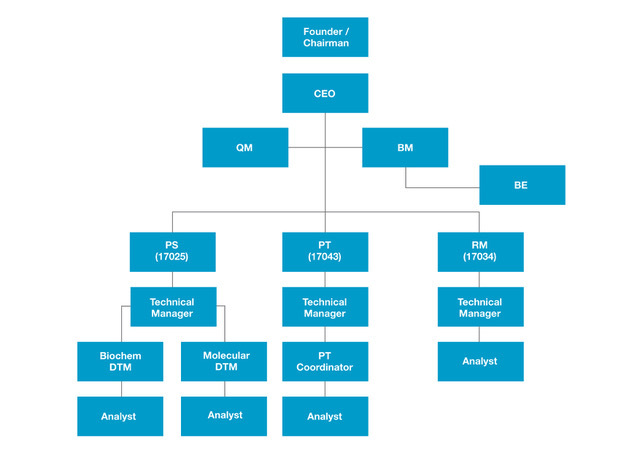 Halvec Laboratories Sdn. Bhd. (Halvec) operates as an ISO17025 accredited service laboratory in Malaysia. Our laboratory offers testing and verification services covering the scope of Halal Testing, Toyyiban Testing and Ethical Testing. Our team is at the forefront of Halalan Toyyiban testing technology. The protocol of analyses that we deploy is accredited under ISO 17025 which ensure accuracy, integrity and reliability of the results. We constantly advocate the highest standards of integrity, accuracy and competency by participating regularly in official proficiency testing programs. Halvec Laboratories also accredited with ILAC MRA which is international organisation for accreditation bodies operating in testing laboratories (using ISO/IEC 17025). 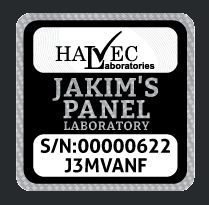 Halvec Laboratories is one of three JAKIM Panel Labs in Malaysia which conduct analysis on samples to support the assessment of halal certification. Trust but Verify is our core value. To be the world’s leading centre in halal testing and verification to validate and assure end-to-end halal integrity is maintained throughout the entire supply chain. To develop and establish international and industry standard methods and reference materials for Halalan Toyyiban testing. To collaborate with private and government agencies to drive Halal industry through development, implementation and enforcement of policies, guidelines, accreditation and compliance relating to Halalan Toyyiban testing and verification. To facilitate Halalan Toyyiban testing and verification know-how through providing consultation service and training. To become key driver in realization of Halal Science Super Corridor through establishment of Halal Science Park, Syariah court and infrastructure that cluster Halal players into a single hub to facilitate Halal Economy and Standard of Malaysia. To verify Halal integrity of consumer products through validated Halal analyses and methods that comply with ISO17025. To verify intergrity of Halal lab testing service provider through ISO17043 Laboratory Competency Program. To verify integrity of QC results through Halal Certified Reference Material (CRM). To verify Halal related issues through Halal Contamination Science Investigation (CSI). Halal is an Abrabic tem meaning permissible or lawful. Its opposite is haram, prohibited or unlawful. From the prespective of religion, halal refers to food and beverages that are permissible for use and consumption by Muslims. Generally speaking, all foods are generally permissible except for those derived from prohibited animals such as pigs,dogs, predators or carrion, as well as food and beverages containing alcohol and other harmful or poisonous ingredients. Slaughter must be carried out in a humane and Shariah-compliant manner, with the intention that it is performed in the name of God. Tayyib means wholesome, pure, healthy and safe. These are all qualities and values that are generally recognized as being an inherent part of halal market values, but are currently given less attention than the halal or legal aspects. These values are being considered and integrated into the halal system, as competition grows to provide better products to ethically aware consumers. Over the past two decades, halal consumer goods has been transformed from an exclusive niche market for Muslim consumers into a dynamic global market phenomenon that shows every indication of playing a significant role in global trade in the coming years. This evolution has been driven not by mainstream Muslim-majority countries, but by the multicultural populations of Southeast Asia and the Muslim diasporas of Europe and North America. This new commercial paradigm shift is driven by increasing consumer awareness on the importance of consuming and using Halal and Toyyiban (clean and safe) products coupled with an entrepreneurial eye for new market opportunities. Traditionally, Halal was seen to refer only to meat and poultry, specifically with reference to the method of slaughter. More recently, Halal has grown and become a power powerful market parameter that continues to evolve across different subsectors of the food supply chain and has affected related industries such as non-meat foods, animal feed, herbal medicies, pharmaceuticals, cosmetics, personal care, travel and hospitality, lifestyle markets such as fashion and media. Halalan Toyyiban concept is not only limited to pork contamination and alcohol content issues. It also covers scopes related to food safety, hygience and biosecurity. Moreover, Halal is a ‘farm-to-fork’ process with halal compliance required all the way through the supply chain, aspects such as warehousing, transportation and logistics to play a role in maintaining and demonstrating halal integrity. Therefore, a standardized and industrial recognized analytical test methods are crucial to quantify and verify Halal integrity to ensure Halal compliance. The ethical values contained in the terms ‘halal and tayyib’ are likely to play an increasingly relevant role as the halal sectors develop, and to become clear value-added components for manufacturers and marketers in the near future. The fraudulent misdescription of food contents can either be intentional or unintentional contamination. Most issues arising in food productions include porcine-based products in food and beverages, usage of gelatin from animals source which is not halal, consumption of non-halal food additives, contamination of food and beverages with alcohol, meat that is not slaughtered according to the ritual Islamic manner and last but not least the use of GM (genetic modified) foods. Hence, the demand for reliable scientific analyses to trace, verify and authenticate purity of Halal consumer products are emerging to protect from fraud and deception. Advanced scientific instrumentations such as Real-time PCR Machine and Headspace-GC-FID (Headspace Gas Chromatography Flame Ionization Detector), ELISA reader are proven to be effective in determining the presence of non-halal content or traces of non-halal compound in consumer goods. 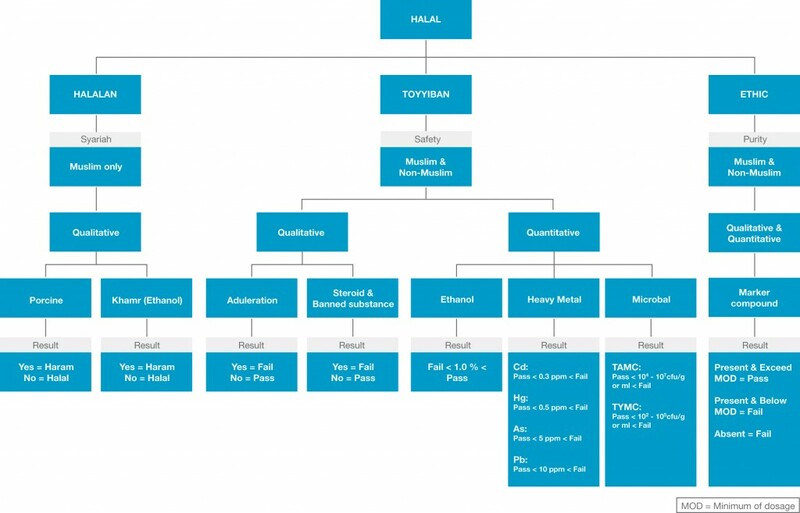 These are the gold standards and techniques that are widely used by laboratories world wide in Halal verification and validation. Halvec is committed in establishing and maintaining facilities and quality management systems that comply with ISO/IEC17025:2017 to ensure Halal analyses are performed with high accuracy and integrity level.